My name is Kesha Phillips and I reside in the beautiful city of Atlanta, Georgia. I’m a graphic artist, parenting and lifestyle blogger – and most importantly – a mom to a set of the dopest twin preschoolers I know. Over the past couple of years I’ve been featured as a parenting and lifestyle expert on shows like CBS Better Mornings Atlanta and AMHQ on the Weather Channel. I’ve spent the last couple of years intensely studying natural African American hair and learning what it takes to keep it healthy and encourage growth. I was inspired by my daughter to start this journey, as I wanted her to know how to properly care for and truly appreciate her beautiful head of exquisite kinks and coils. I couldn’t do that for her unless I learned how to do it for myself first. I’ve been natural for a little over two years. 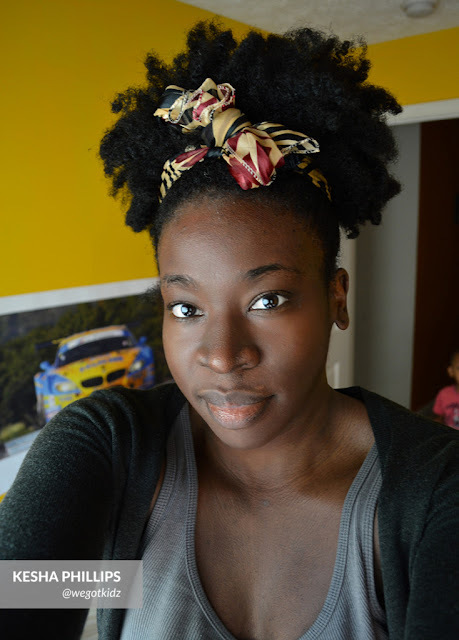 Embracing my natural kinks, coils and curls - I have to admit -was a process. In the TWA (teeny weeny afro) stage I was a little self-conscious. Since I’m of a darker complexion I felt that my hair made me look unkempt or unprofessional. (Those European standards of beauty were pretty ingrained.) But after a few months, I truly began to appreciate my hair, it’s uniqueness and everything that came along with it. Now, when I rock my ‘fro in all its glory, you couldn’t convince me that I don’t look fly. Lol. I did the big chop (for the third and final time) a little over two years ago. I tried to transition at first; but I still hadn’t gotten the hang of how to properly care for my hair type; so more often then not, I’d have a big, tangled, matted mess on my head. My mother passing was the motivation I needed to let that old hair go and start fresh. I asked my cousin, who’s a hairdresser, to do my big chop, and haven’t looked back since. I’m a believer in the typing system; so I describe my hair as a full on 4c with a smattering of looser 4a curls right along the nape of my neck. I’m a low porosity gal so my hair is ALWAYS thirsty for moisture. I love the versatility! I love rocking an afro one day and blow drying it into a blowout the next. My husband never knows what he’s gonna get. Lol. I think the most memorable part was finally being able to see my length after a couple of years of hard work and consistency. I’d just taken my hair down from my latest protective style and posted a picture of it online. People went CRAZY asking me my secrets to hair growth. I was like, ‘Wow, I guess it actually looks like something.’ Lol. Having a coarser hair texture means that I experience some serious shrinkage. Finally being able to see that length come through despite the shrinkage meant a lot. 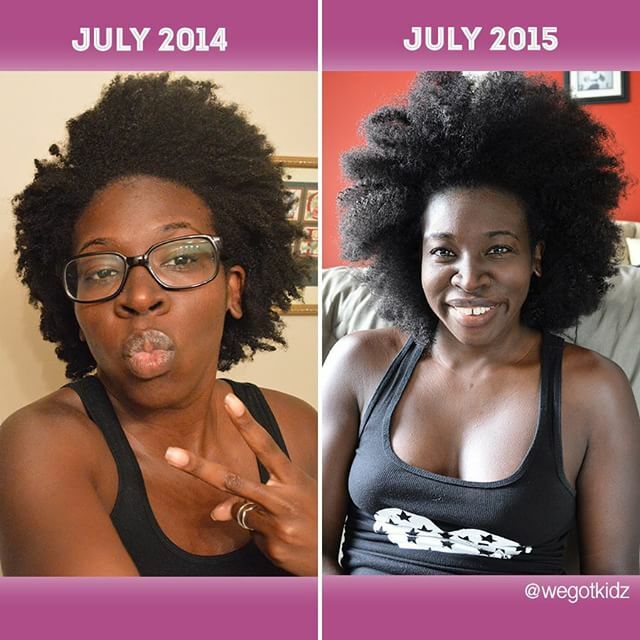 In the beginning, finding the right regimen that fit me and really “learning” my hair was a challenge; but once I figured it out, it became second nature. I’ve gotten really good at Marley twists, so that’s become my go-to protective style. I also love rocking crochet braids as they give my hair a break while still allowing me the versatility. 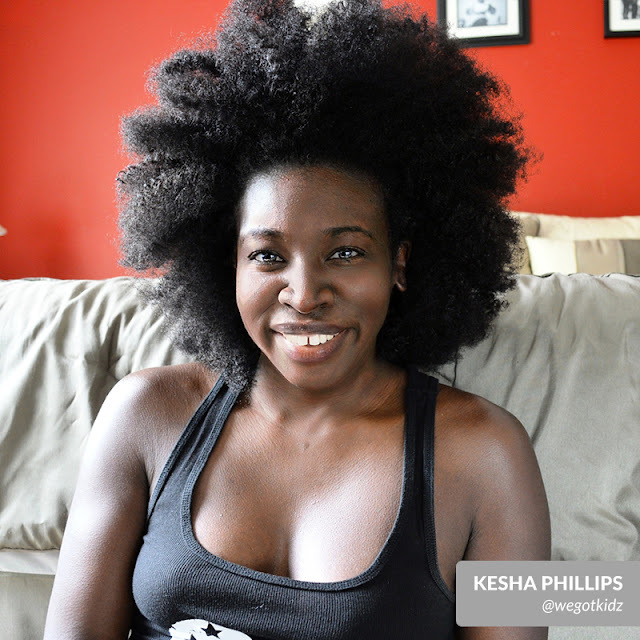 I love the sense of community and camaraderie that’s among the natural hair community. It’s almost like a sisterhood. It’s been very uplifting to hear “Your hair is beautiful” from my friends and peers. My dad, on the other hand, just doesn’t get it, and wonders out loud jokingly why I don’t just “do” my daughter’s hair. Maybe he was part of the reason why I had to adjust to being natural. Luckily for him, I don’t put too much stock in my family member’s opinions opting to do my own thing more often then not. Sometimes that attitude gets me in trouble, but in this instance it’s served me pretty well. Lol. 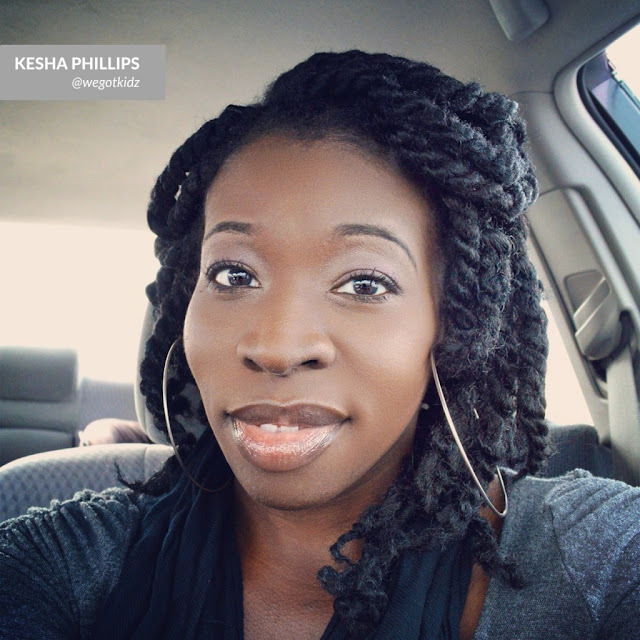 What is your hair regimen (including favproducts)? I co-wash at least bi-weekly doing it weekly whenever I’m not wearing a protective style. I use III Sisters of Nature Cleansing Co-wash and am currently in love with Cantu’s Argan Oil Leave-in Conditioning Repair Cream. I use that on my ends constantly and it’s made a huge difference. I only use shampoo after I’ve worn a protective style for a while. After protective styling I do an ACV rinse to get rid of buildup and cleanse with Shea Moisture’s African Black Soap Deep Cleansing Shampoo. For the little naturalistas, I love http://curlz.wegotkidz.com. (But I’m a little biased. Lol) I have a girl crush on Dr. Phoenyx Austin as we have a very similar hair type and her health and body game are amazing. Remember, it’s not what you do once and a while that shapes your life; but it’s what you do consistently. Consistency is key when it comes to achieving long, healthy natural hair – Consistency with your diet, your protective styling, and consistency with your regimen. There’s no way around it. 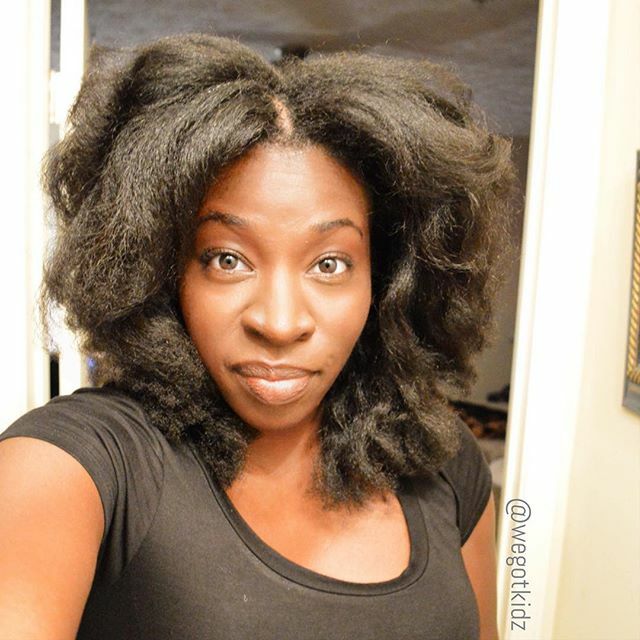 Follow me on my Instagrams: For naturalistas: http://instagram.com/wegotkidz. For the littles: http://instagram.com/kidzwithcurlz. Oh, and subscribe to my YouTube channel: http://www.youtube.com/user/grtdesyner. More natural hair videos coming soon!